The Zohar explains that ‘Salvation belongs to YHVH’ because the Shechina will be free to be with him. The blessings that he provides for the Israelites give them support so they can go out of exile. At the end of the exile YHVH with his compassion will gather the Israelites from all the nations where he scattered them during the exile period. We are now experiencing the compassion period. The spread of Zohar studies around the world is part of this process. It helps remove the Klipot from the world and dig wells of Light. As we can see from the answer of Mashiach, among other things we need to be able to perform unification and elevation. 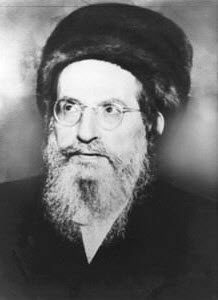 Most of us cannot be like the Baal Shem Tov but we can definitely focus on Zohar studies that is the aspect of unification of upper and lower and give our souls spiritual elevation.